* UNTIL 200 AM CDT. * AT 1110 PM CDT… NATIONAL WEATHER SERVICE DOPPLER RADAR INDICATED SLOW MOVING THUNDERSTORM CELLS WITH VERY HEAVY RAINFALL TRAINING OVER THE SAME AREA FROM NEAR PHFLUGERVILLE TO COUPLAND. RAINFALL RATES OF OVER TWO INCHES PER HOUR WERE INDICATED IN THIS CLUSTER OF STORMS. IN ADDITION A COCORAHS OBSERVER REPORTED OVER 3 INCHES OF RAIN HAD FALLEN WITHIN THIS CLUSTER 4 NORTHEAST OF PFLUGERVILLE. 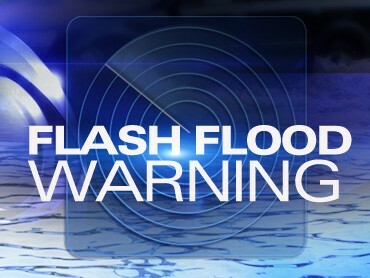 * RUNOFF FROM THIS EXCESSIVE RAINFALL WILL CAUSE FLASH FLOODING TO OCCUR. SOME LOCATIONS THAT WILL EXPERIENCE FLOODING INCLUDE… PFLUGERVILLE… TAYLOR… WINDEMERE… COUPLAND… MANOR AND THRALL. WHEN WATER COVERS THE ROAD… TURN AROUND DON’T DROWN. THE LIFE YOU SAVE MAY BE YOUR OWN. This entry was posted in Breaking News, Weather, What's New? and tagged Coupland Texas, flash flood warning on September 28, 2013 by Stewart Dale Spencer.